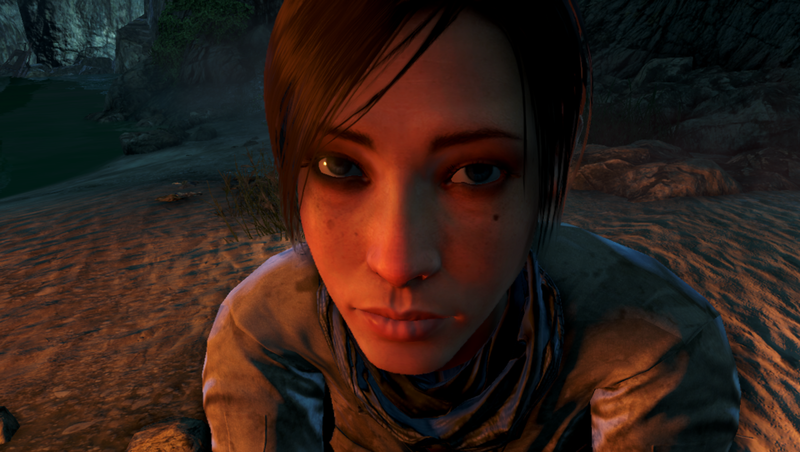 2v1: Far Cry 3: Who Are These People...? Far Cry 3: Who Are These People...? Upon completing Far Cry 3 and the expansion, Blood Dragon, I've had plenty to say. Any game of this size will have issues, and most were minor, but the character development in this game was especially frustrating. I've been struggling with how to articulate. The game starts off strong, with Jason and his brother escaping from Rook Island's resident psychopath, Vaas. Just when it looks as if they've made it, Vaas shoots Jason's brother in the neck. The situation is appropriately intense and emotional. Jason doesn't know what to do other than hold his brother as he bleeds out. He doesn't get much time to be upset as Vaas sets dogs on him, and he must continue his escape. Unfortunately, this is the most emotion I felt for Jason, and it was the first 15 minutes of a 20+ hour game. each friend always hinted at a past, which is appropriate, but I didn't feel like I should care. One of them was Jason's girlfriend. I think this was The Girlfriend. After she is rescued, each time the player comes back to the hideout where the friends are gathered, The Girlfriend would say something along the lines of "I miss you", "Whats wrong", or "Talk to me." Okay, let's talk. Cue a single minute of dialogue where nothing new is learned, and the "talk" is over. Maybe a dialogue tree only available with your friends in the hideout would have helped? I'm not sure, but it was hard to feel attached to anyone when the interactions were so short. I don't ever expect much from the player-character in games, mostly because in order for a wide audience to accept them, they have to be a somewhat blank slate. Obviously, more narrative-driven games flesh out the player-character in stronger ways, but I would hesitate to call Far Cry 3 a "narrative-driven" game. As Jason, the player is tasked with a revenge story, which is appropriate. And at the beginning of the game, it seems like Jason really does have to learn survival skills instead of coming off as a hardened, trained killer. But the player is quickly laying waste to tons and tons of enemies - an all-too-common way of approaching gameplay in big-budget video games. Personally I've never been able to look past how ridiculous murdering hundreds of enemies feels, but I expected this from Far Cry. It wasn't that aspect that disappointed me. It was how quickly Jason was written to transform from a know-nothing newbie to a battle-hardened mass murderer. 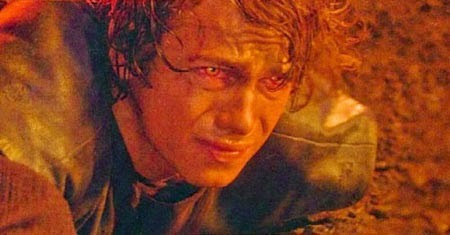 But..I could rule the galaxy! I'm not a game designer, so maybe I'm delusional on how story progression should work. But after the tutorial, Jason begins acting like a know-it-all. He's disconnected from his friends, which I guess kind of works since he is murdering everyone to save them. And the fact that they, like Jason initially, had never had to even consider physical conflict outside of a "come at me bro" moment at a club makes it hard for them to understand Jason's behavioral change. He comes off as a petulant child any time he makes a threat or tries to stick up for his desire to kill Vaas and his goons. I'm reminded of how silly some of Hayden Christensen's lines sounded in Revenge of the Sith when he's explaining to Padmé how they could rule the galaxy. His voice is almost cracking, and I couldn't take him seriously. Fast forward to Far Cry 3, and you have Jason Brody, whom I laughed at the entire game and with whom I never felt a connection. Jason at some time previously. She starts out interesting, then Jason gets laid, and she's barely in the game until the very end. We learn nothing else about her other than they showed her breasts for a split second, and she had ulterior motives unknown to Jason until the final seconds of the campaign. Another missed opportunity. 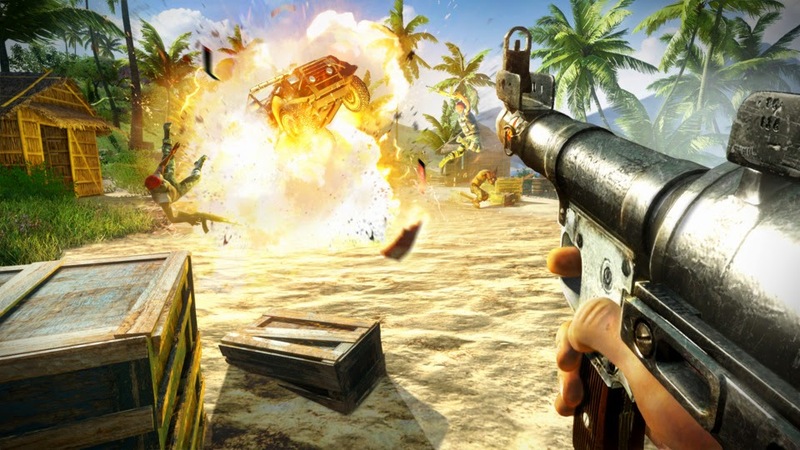 Vaas is not in the game enough. One of the best sequences of Far Cry is when you finally confront Vaas and he keeps trying to kill you. The, "Did I ever tell you the definition of insanity?" line that was used in a trailer for the game is used perfectly during this sequence. Human repetition is insanity, and Vaas keeps failing at killing the player, while Jason never gives up. It was genius. I didn't even know I was killing Vaas because it was during some weird dream sequence. There was no climax. No catharsis. Vaas just screamed at you, and oh wait, he's dead. Forget him. The most interesting nemesis in some time is tossed aside halfway through the campaign. And never spoken of again. Damn. was also dead. We need to kill more people and have more explosions. Vengeance must be had at all costs!" Far Cry 3 was a really great game. I had a blast with 95% overall. This is a long essay on a very small aspect of the overall experience. It's rare for me to actually play the big-budget stuff anymore, so maybe I went into it expecting too much. 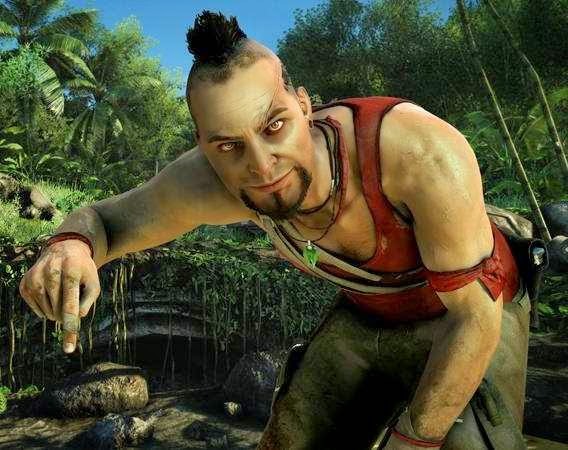 But when I found myself enjoying the bad guys, Vaas especially, it made me wonder what the writers were trying to accomplish. I doubt I was supposed to hate the character I was playing as as much as I did. I also doubt I was supposed to resent the people I was rescuing. I had more of a connection with my tattoo than I did with the humans in the story. Gameplay was great, setting was gorgeous, and the IDEAS were there; the characters portraying those ideas just fell short.